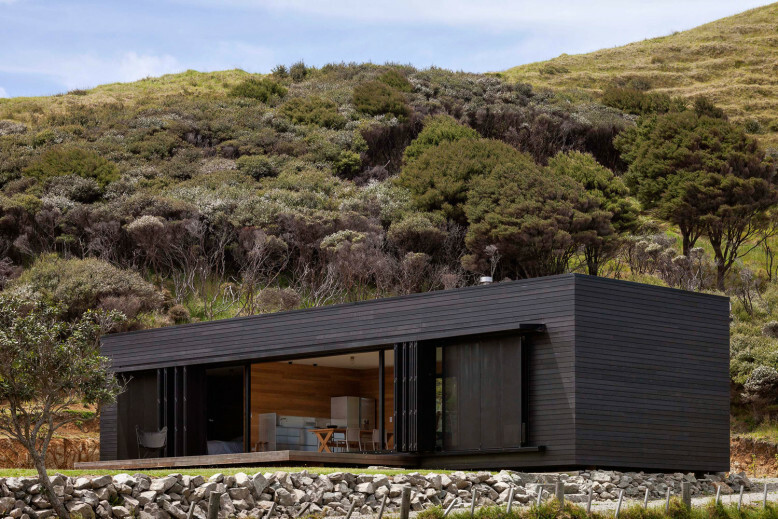 The Storm Cottage was designed by Fearon Hay Architects. 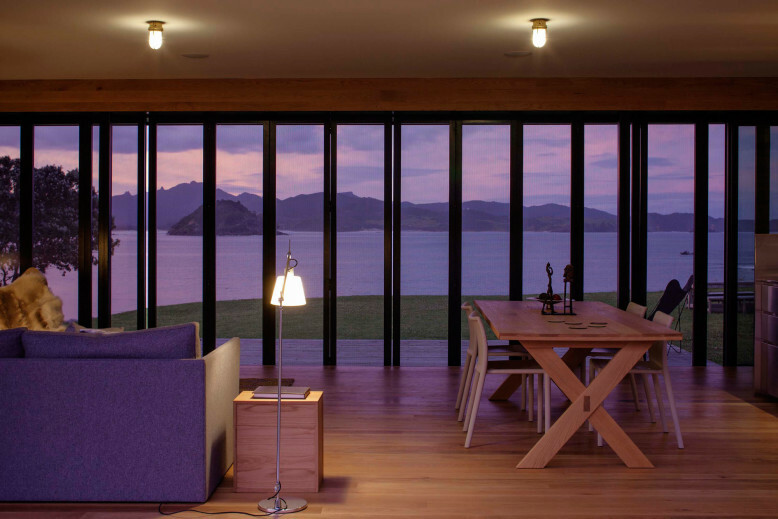 This modern house is located on the east coast of Great Barrier Island, in New Zealand. 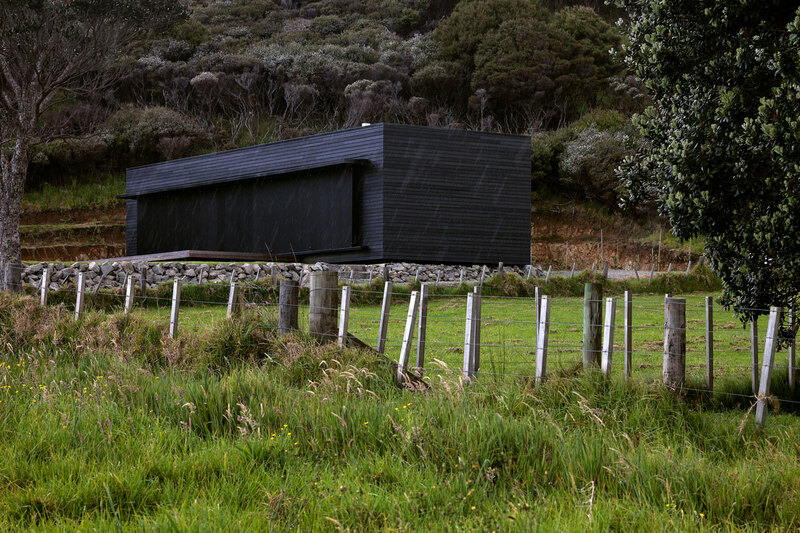 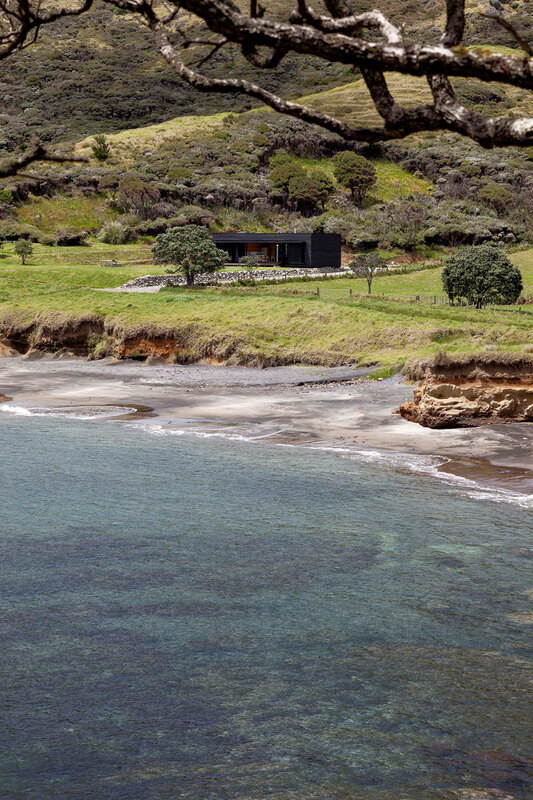 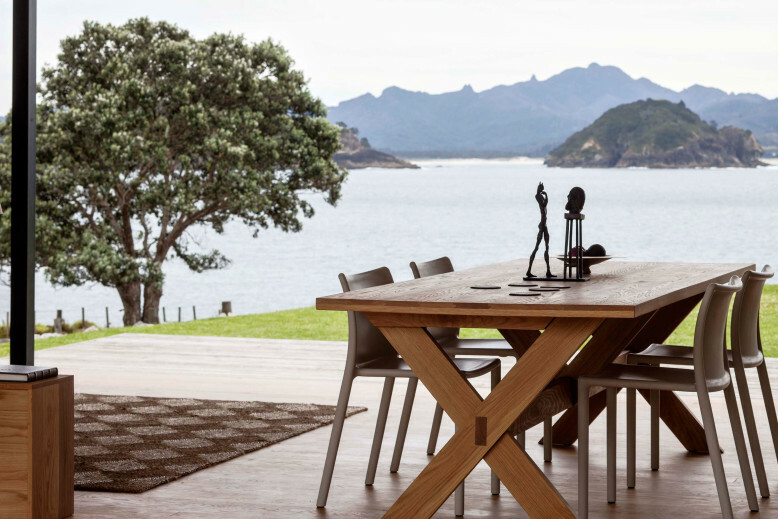 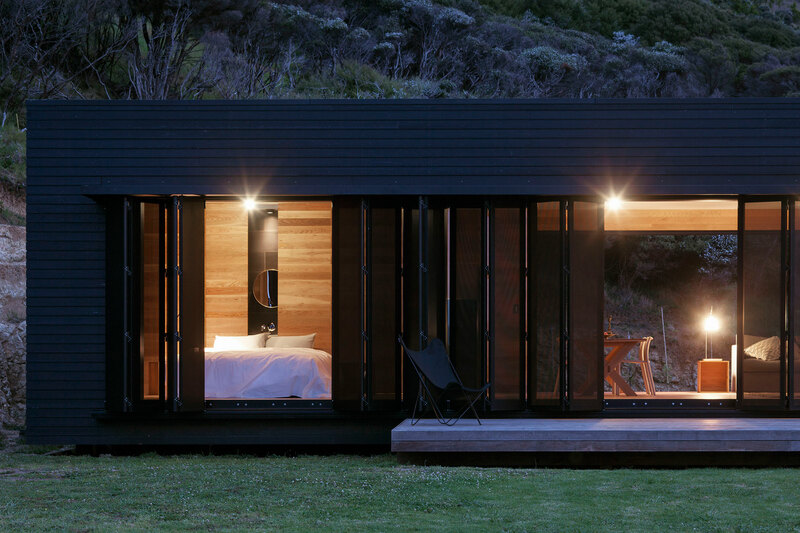 “Located on the east coast of Great Barrier Island – a black rough sawn timber box sits looking north to the sea. 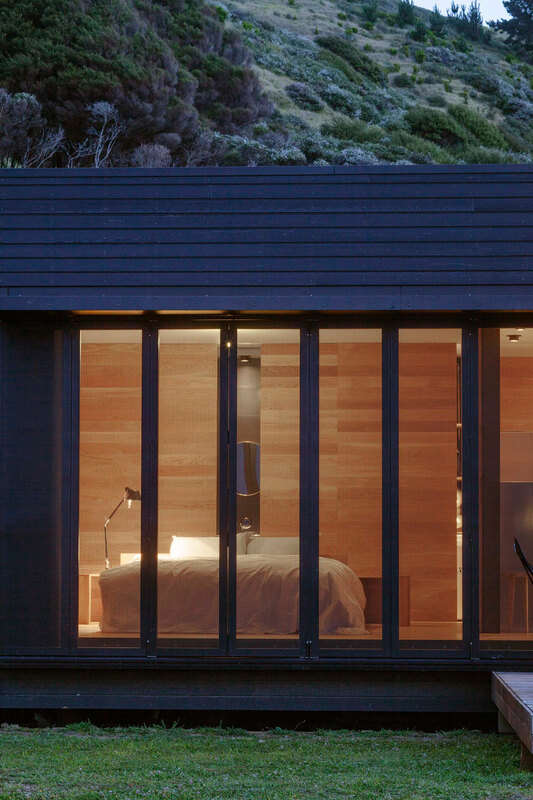 The dark exterior palette is completed with a layer of perforated metal screens. This operable layer allows the moderation of light / air and protection both when occupied and alone. 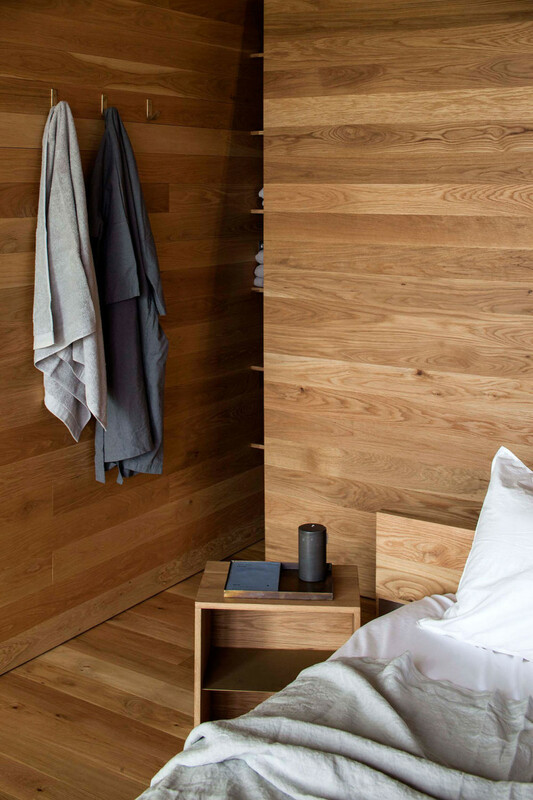 Internally walls and floors are clad with oiled oak boards that provide a warm counter to its robust exterior. 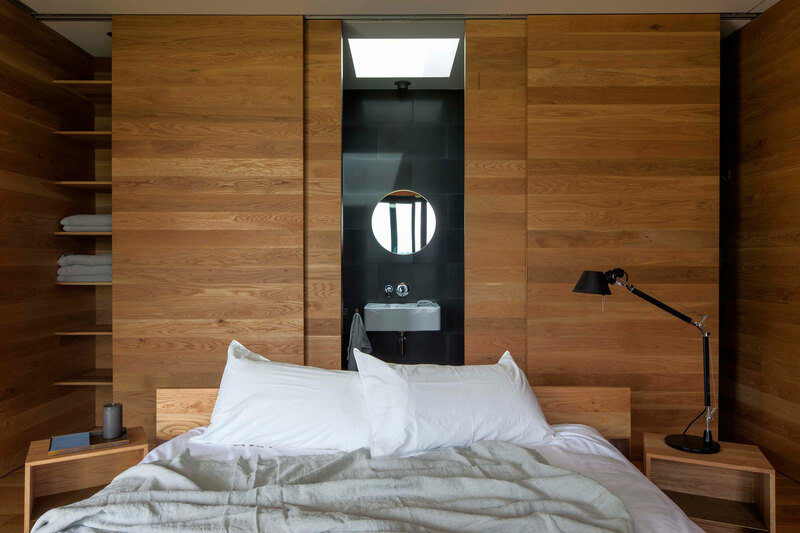 The programme provides for a pair of symmetrical bedrooms and ensuites set about a central living space. 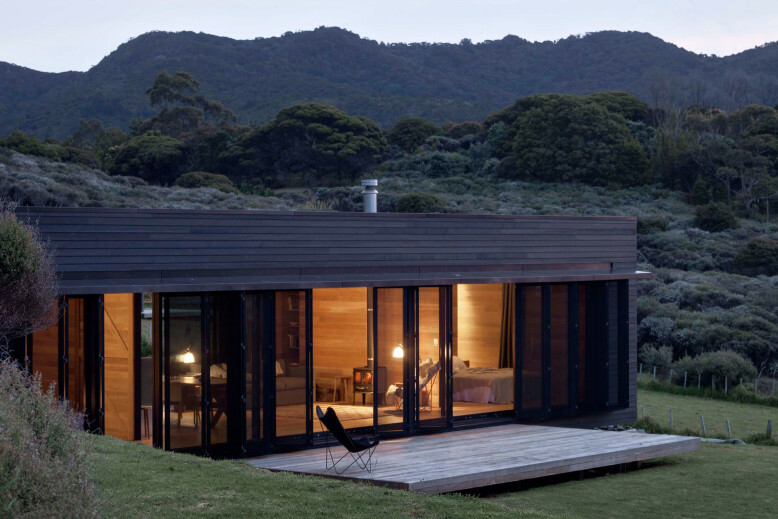 Care has been made to limit the scale of the building and maintain a sense of ‘cottage’. The building is off the grid, powered by solar panels independent systems for water collection and treatment.